For the first time, two of John Gierach's most popular fishing books are collected in one volume- a double dose of delight for longtime fans or first-time visitors to Gierach country. 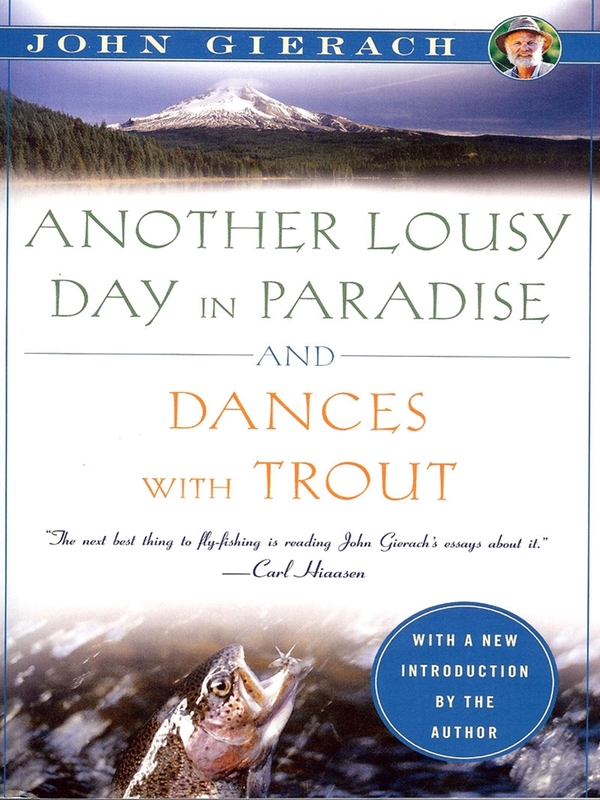 As Gierach astutely observes in Dances with Trout, "Fly fishing is solitary, contemplative, misanthropic, scientific in some hands, poetic in others, and laced with conflicting aesthetic considerations. It's not even clear if catching fish is actually the point." This obeservation might also describe Gierach writing- catching fish might be the subject, but most of the fun and (mis) adventure comes well before the point. Whether it's fishing close to home waters (Colorado) or farther afield (Alaska, Scotland, Texas); ice fishing, tournament fishing, or night fishing; fishing for trout, salmon, carp, splake, or grayling; fishing with familiar companions like A.K. Best or the enigmatic "Zen master among fishing guides"; no details of the fishing life is too insignificant or too absurd for Gierach. As he writes in Another Lousy Day in Paradise, "The real truth about fly fishing is, it is beautiful beyond description in almost every way, and when a certain kind of person is confronted with a certain kind of beauty, they are either saved or ruined for life, or a little bit of both." So start reading and be saved- or ruined- by Gierach's wonderful insights into the world around us.